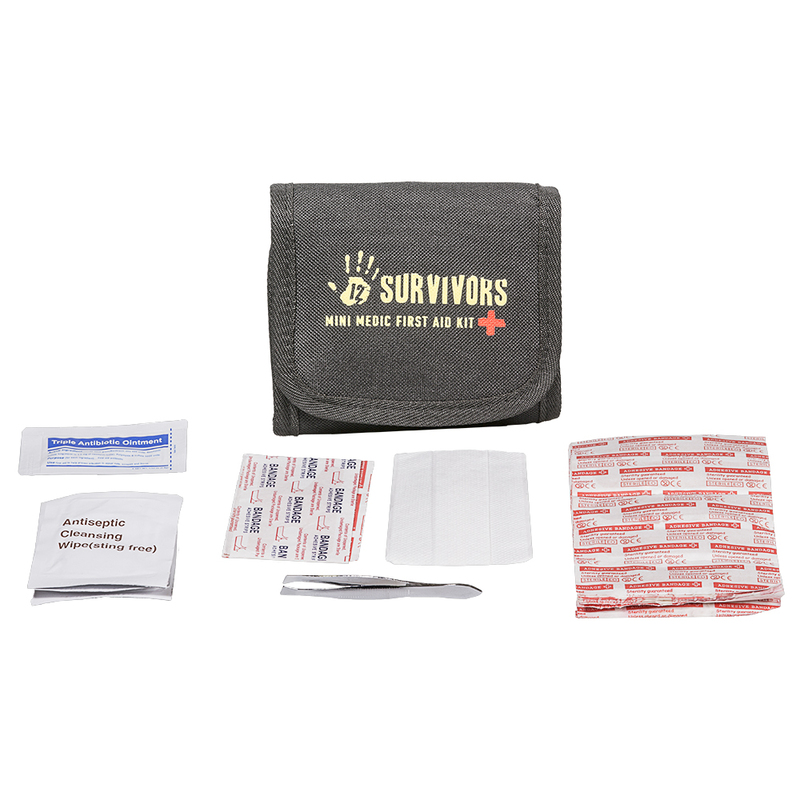 The 12 Survivors Mini Medic 61-Piece First Aid Kit is the perfect set of first aid essentials for any hiker or camper. Stored in a small yet durable, trifold nylon carrying case this kit can be easily stored in a side pocket of your favorite backpack. Three interior zippered compartments keep all items separated and organized for easy use. The Mini Medic 61-Piece First Aid Kit includes: 50 adhesive bandages, 1 nonwoven adhesive bandage, 2 knuckle adhesive bandages, 2 butterfly adhesive bandages, 3 antiseptic wipes, 1 pair of tweezers, and 1 trifold pouch.